Barefoot's award-winning wines can be found in bottles bearing the fun, iconic footprint label. Barefoot offers approachable, fruit-forward varietals and blends that are food-friendly and affordably priced. 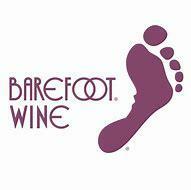 Barefoot Wine has 17 offerings and is the most awarded wine in US competitions.